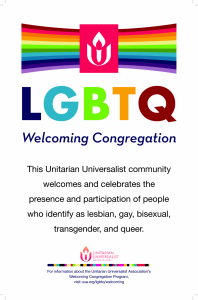 The Ancient Shores Covenant of Unitarian Universalist Pagans meets the third Sunday of each month at 12:15 p.m. at the Fellowship for discussion of various topics related to Earth-Centered Spirituality. Our mission is to provide opportunities for the exploration and development of Earth-Based and Pagan spirituality. We honor the gifts brought by all who participate of every age and background, placing no one path before any other.